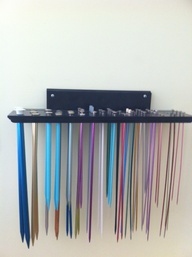 Storage ideas for knitting needles, how do you store yours? Whilst tidying my studio and making knitting needle rolls I have been contemplating various ways of storing my precious knitting needles. Why not reuse an item from around your home? 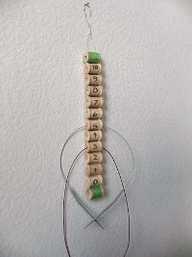 Love this idea, must get saving the old corks! 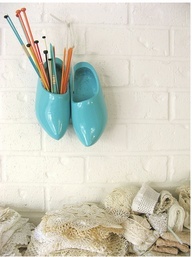 Clogs, if only I had some! 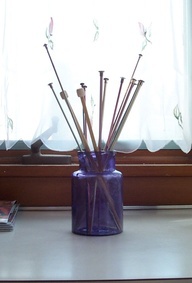 How do you store your knitting needles? 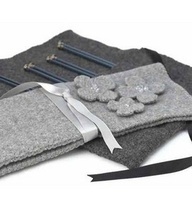 Check out my knitting needles case tutorial here. 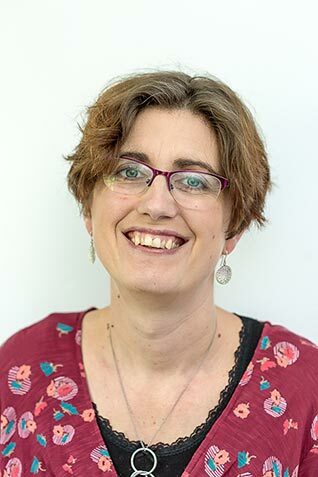 That’s a great tutorial, I think even I could just about manage it if I put my mind to it 🙂 I keep my knitting needles in a cardboard tube container which held a whisky bottle, it’s sturdy and easily replaceable when it gets worn, so I keep all our whisky containers! I made myself a needle roll from fabric along the lines of the felted roll in your picture. 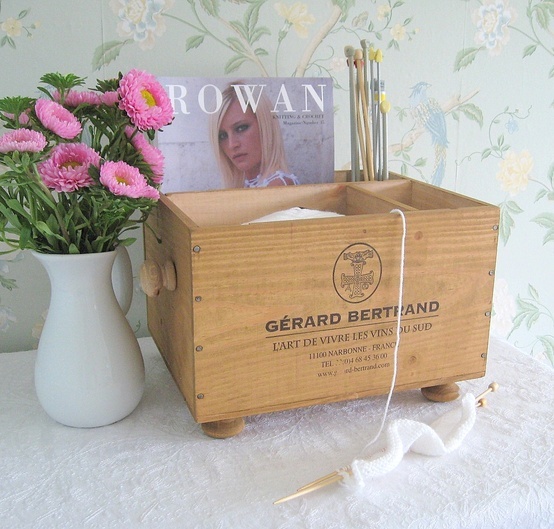 It is great as it fits so neatly into my knitting basket. I like Yvonne’s idea of a cardboard tube. I have a silk needle case by Lantern Moon that my husband gave me before we were married. I just knew he was the one! I have a post about it on my blog. If I don’t have time to store away my needles, I reused an old glass candle jar which sits on my desk and keep them there in the meantime. Mine are in a couple of old whisky bottle tins!